Peninsula Gardens Hotel | Discerning Collection. Hotels, Villas. Peninsula Gardens opened its elegant doors to its first guests in 2011, and since then has proven to be one of the best adult only hotels in the region. Jaw-dropping sea views from every angle, a first class terrace restaurant offering an extensive menu of Turkish and international dishes, a wonderful Spa with a fantastic array off pampering treatments and a large, infinity pool will tempt you off your comfy sun lounger to cool off. If you fancy taking a dip in the sea, then you can stroll down to one of the wooden decks which are built on different levels with ladders leading in to the pristine waters, there are even private cabanas which can be hired out, complete with a call button to your very own butler. Each cabana has a minibar stocked with juices and soft drinks (local charges apply), a digital safe and a laptop with WiFi access. The contemporary rooms and suites at the hotel are magnificent, each named after a precious stone, all enjoy panoramic views over the peninsular from their balcony or terrace, and are elegantly decorated with walls and panels of stone, with splashes of colour from the soft furnishings, and each room has a stylish en-suite shower room. By night, the rooms are softly lit by onyx lamps which are around the bed adding a romantic glow all around. The best bit however, has to be the terraces, and breathtaking views out to sea, and of course the private plunge pools most of the rooms boast (all except the standard rooms) – the perfect spot to relax with a book or take a refreshing dip. Peninsula Gardens is split into two separate buildings cleverly built down a steep, craggy cliffside, enabling guests to take in the simply magical views out to sea from every inch of the hotel, thankfully there are lifts to take you between each floor! 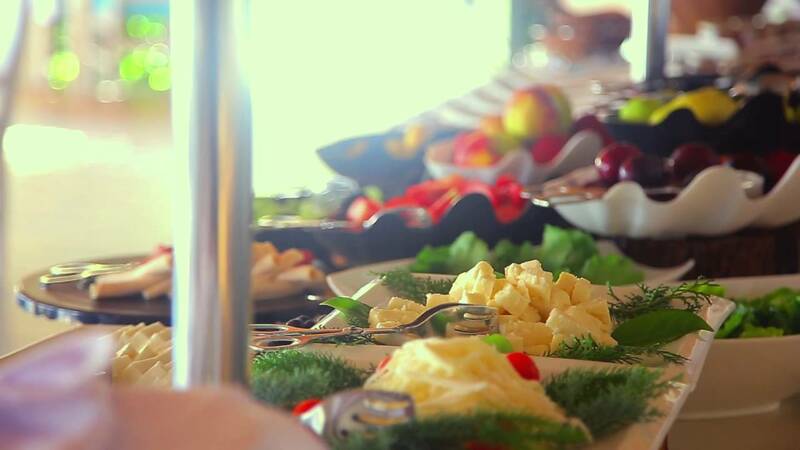 An extensive buffet breakfast awaits every morning in the pretty pavilion looking out to sea, and if you prefer a hot breakfast, eggs and pancakes are cooked to order. Light lunches can also be taken here, on your private terrace or in your luxury cabana. Dining at the hotel in the evening is a must at least a few times during your stay, with a superb menu of mouth-watering Turkish and international dishes, all made from fresh, local produce. For a little pampering, the Spa is superb, there is an indoor pool, hamam, sauna and massage rooms and an extensive list of relaxing and rejuvenating treatments for enjoy. If you can lure yourself away from this sumptuous retreat, the nearby town of Kas is just 10 minutes away by bus or taxi, with its pretty harbour, central square surrounded by cafes, bars and restaurants and winding, cobbled backstreets dotted with boutiques. We Recommend Treating yourself and your loved one to a private cabana for a day! Peninsula Gardens has a wonderful restaurant open throughout the day. There is a large infinity pool if you can tear yourself away from your own private pool! There is also a wonderful Spa with hamam, sauna, Jacuzzi, and massage and treatment rooms. There are wooden decked areas with direct access into the sea and 2 private cabanas can be pre-booked, complete with your very own butler! Room service is available from 8am until midnight (service payable locally) if you prefer to dine in privacy on your beautiful terrace and there is also a daily turn down service and a pillow menu available. Aquamarine and Lapis are both located on the top floors of their respective buildings. Aquamarine is in the first building, closer to the sea, while Lapis is in the 2nd building. The 3 other Sea View rooms are in the 2nd building, Ivory is on the top floor on the left as you look from the sea; Onyx is on the top floor on the right; Diamond is on the first floor on the right. All Sea View rooms have beautiful terraces with cushioned rattan chairs. Opal is on the ground floor in the middle of the 2nd building, this is the only room with a round plunge pool at the Peninsula Gardens! As well as the grand rattan chairs, there are separate sunbeds on the terrace, the views all round are spectacular. Pearl is on the 1st floor of the 2nd building with a large plunge pool directly outside the bedroom. Coral is located on the 1st floor of the 2nd building, on the left as you look at it from the sea. Amethyst and Emerald are on the top floor of the 1st building. These are secluded rooms, with stunning views on two sides. Each has a balcony with a retractable canopy. Doors lead from the bedroom on to a decked terrace and the pools stretch along the side of the rooms overlooking the sea. In the 1st building, are Deluxe rooms Topaz and Sapphire. These rooms are all located on the 1st floor, with your back to the sea, Topaz is on the left, and Sapphire is on the right. Topaz is located on the corner and has a terrace, plunge pool and a small garden to one side and a balcony at the front. Sapphire is almost a sister room to Topaz, with a terrace, balcony and plunge pool. Gold is situated in the 2nd building, a spacious room located on the ground floor with a long, narrow pool, terrace and pretty potted plants. All rooms have sun loungers and a retractable canopy (except Gold which has a parasol) and spectacular sea views. Ruby is located on the ground floor of the 2nd building, on the right as you look from the sea. The large terraces are decorated with colourful pot plants, with sunshades and sun loungers. Platinum is on the ground floor of the 1st building on the left if you were looking from the sea. It has a very large terrace and freeform pool. All Junior Suites have fine rattan furniture for relaxing plus with a double day bed. Jade is the Signature Junior Suite and is located on the ground floor of the 2nd building. It has a huge terrace and plunge pool, and and a little private nook with a day bed. Jade is the most popular room at the Peninsula Gardens and sells out fast, early booking is essential! Kas itself is home to the finest diving schools in the Mediterranean. Here diving specialists will introduce you to cave diving, sponge diving, the fabulous amphora field and even some fascinating shipwrecks. By day, Kas remains sleepy village of old. By night, it is transformed. As the locals sit, talk and watch the world go by from the harbour wall, the restaurants, some on rooftops overlooking the sea, serve tempting food. Kas is ideally located for explorition of plethora sites which are almost always sure to be free of the tourist holdes. TLOS: A fortress-topped acropolis dramatically set high on rocky outcrop. PINARA:A Lycan site with a splendid and isolated setting. LETOON:A shrine to Leto consisting of three temples. XSANTOS:The ancient capital and grandest of Lycia. PATARA: The Birthplace of St Nicholas and mystical site half-covered with the sands of Patara. ARYCANDA: Our favorurite Lycan site and one of the Lycian Coast’s best kept secrets. TELMESSOS:The modern town of Fethiye is built on the site of this ancient Lycian town.Numerous sarcophagi are dotted around the town and wonderful example of a cliff tomb is to be found overlooking Fethiye. The below prices are per person based on 2 guests sharing a Sea View Room on bed & breakfast basis and include shared airport transfers by minibus to and from Dalaman Airport. Guests also have complimentary entrance to Yali beach club and a Discerning Collection towel, that’s yours to keep, will be in your room on arrival. Rooms include Lapis, Aquamarin, Ivory and Onyx. The below prices are per person based on 2 guests sharing a Superiror Private Pool Room on bed & breakfast basis and include shared airport transfers by minibus to and from Dalaman Airport. Guests also have complimentary entrance to Yali beach club and a Discerning Collection towel, that’s yours to keep, will be in your room on arrival. The below prices are per person based on 2 guests sharing a Deluxe Private PoolRoom on bed & breakfast basis and include shared airport transfers by minibus to and from Dalaman Airport. Guests also have complimentary entrance to Yali beach club and a Discerning Collection towel, that’s yours to keep, will be in your room on arrival. The below prices are per person based on 2 guests sharing a Junior Suite on bed & breakfast basis and include shared airport transfers by minibus to and from Dalaman Airport. Guests also have complimentary entrance to Yali beach club and a Discerning Collection towel, that’s yours to keep, will be in your room on arrival. Junior Suites include Ruby and Platinum. The below prices are per person based on 2 guests sharing a SignatureJunior Suite on bed & breakfast basis and include shared airport transfers by minibus to and from Dalaman Airport. Guests also have complimentary entrance to Yali beach club and a Discerning Collection towel, that’s yours to keep, will be in your room on arrival. Turkish cuisine is shamefully overlooked by the mainstream foodies. But at its best it ranks alongside anything that Paris, London or Bologna might offer. The secret lies in the fresh ingredients that are so readily available in Turkey. Salads, fish, lamb and all kinds of herbs and spices are all abundantly available locally, especially in the region around the Kas peninsula. Which is why when the Peninsula Gardens opened it was such an exciting event in the Mediterranean culinary calendar. Having established an enviable reputation at the Likya Residence and Spa, the owners are now bringing their commitment to excellence to their other flagship property, the Kas Peninsula. For all the temptations to be found on the menus, your first experience of the Peninsula Gardens restaurant will be a feast for the eyes. Over breakfast, lunch and dinner, the panoramic sea view of the peninsula is there right before you in warm sunlight or the cool light of the moon. In fact, breakfast is one of the hallmarks of quality for the Peninsula Gardens team. Cold meats, eggs just as you like, local fresh fruit, olives and sumptuous yoghurts take their places alongside more traditional continental fare. And then there is dinner. With an endless supply of superb fresh ingredients to choose from, the chefs excel themselves, offering a selection of Turkish classics, as well as international dishes with an irresistible Mediterranean flavour. An evening spent browsing the menu, sampling each mouth-watering course and sipping fine wine as the moon rises over the peninsula, is not to be forgotten. You can also enjoy the best of the Peninsula Gardens in the privacy and comfort of your own room at the hotel, or beside your private plunge pool. Room service is available between 8am and 11pm daily; local charges apply.